Read our last blog in this series about knowing “when you are in a great internship”. The answer is more surprising than you may think! There are many opportunities for students to become involved in a variety of fields and interests. High school internship programs, including private school internships, try to find as many available resources as possible to provide to students so they could decide what kind of “work” they are interested in exploring. At Areteem Institute in particular, we try to match our students with an internship program that is more to their taste and also emphasize more of an academic focus such as tutoring services, etc. 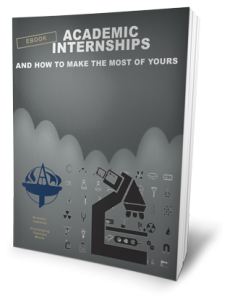 As mentioned in previous interviews, students should think about their interests and aspiring work-related goals as that will help determine where they will be working at during an internship. Schools will provide knowledge of internship opportunities in the area and help students become more involved in their local communities as well. Students should remember that internships go beyond volunteer work as they are more geared towards general practical work experience in a job or career. The organizations hosting interns might provide something to the equivalent of a small “salary” during the time students are involved in the program. ← How should students make the most of their internship time?